Healing the wounds or having surgery? Don’t forget the Vitamin C! Heart failure is a deteriorating condition accompanied by edema, fatigue and difficulty conducting even simple activities. It affects people at any age and it often develops as a result of heart disease. Heart failure patients often suffer from irregular heart beat, a frightening condition that carries a risk of a sudden death. About five million people in the US are affected by heart failure and arrhythmia and about 30-40% of them die within one year of diagnosis. Heart failure together with malignant cancers is responsible for more than half of the deaths in people 45 years old and older. Unfortunately, heart failure and arrhythmia are increasing. Although many new pharmaceutical drugs have become available they focus not on the root cause of these problems but on the symptoms, and are associated with a very high risk of side effects. This article indicates that it is time for major revision of current health approaches and presents new cellular medicine-based therapeutic directions in these diseases. A recent issue of the New England Journal of Medicine (NEJM) highlighted setbacks in the treatment of irregular heartbeat (atrial fibrillation) and heart failure. The June 19, 2008 edition of this journal emphasized the importance of the issue by publishing two clinical studies in patients suffering from these health problems and devoting an editorial section to this topic. One of the studies compared the efficacy of current medications used in controlling heart rhythm (rhythm control) and regulating heart rate (rate control) in patients suffering from atrial fibrillation and heart failure. The conclusions were clear: medications used in both categories have very dangerous side effects and are not effective in solving the problems. The other study described the shocking results of a supposedly better drug, Dronedarone, a superior alternative to Amiodarone for the treatment of severe heart failure. The clinical trial was planned for two years, but had to be prematurely terminated within seven months of its initiation, due to an alarming number of deaths reported in the Dronedarone group compared to the placebo group. The cause of such an increase in the number of deaths was primarily associated with worsening of heart failure. The authors emphasized that Dronedarone should not be used in heart failure patients with reduced left ventricular function. Was the prescription of this drug stopped? Of course not. The manufacturers of the drug simply turned to other disease markets for Dronedarone, to protect their investment. Currently, the drug is being evaluated in a large clinical trial as a treatment for cardiovascular events in patients diagnosed with atrial fibrillation and other risk factors, which means that more people will risk developing dangerous health problems – or even death. It is alarming that – after repeated drug failures and the deaths of hundreds of people – no health authority stands up to defend the health interests of the patients. It is also unfortunate that the scientific community, primarily sponsored by drug companies, refuses to take a closer look at the real cause of heart failure and aim for a cure. It is a well-known fact – confirmed in numerous clinical studies – that deprivation of cardiac energy is the most important factor in developing heart failure and irregular heart rhythm. The human heart is a muscle that requires tremendous amounts of bio-energy to support its beats (conducted at regular intervals 100,000 times per day for our entire life) and to provide strength to recycle approximately ten tons of blood through the body. This energy is produced in our cells in the form of adenosine tri phosphate (ATP) molecules and our heart uses lots of them – about 6 kilograms of ATP (more than 12 pounds) per day. The primary energy fuel for the heart muscle is not glucose, but fatty acids. However, they cannot be burned in the energy cycle without the presence of a molecule called carnitine, which transports fatty acids into the mitochondria. It is not surprising that the largest quantities of carnitine are found in muscle tissue. Carnitine deficiencies are likely because this nutrient is formed from vitamin C and lysine, both of which are not manufactured in our body and come only from the diet. Carnitine supplementation is therefore important, especially for vegetarians, because plants are not a sufficient source for this nutrient. Diuretics, which are used as the primary treatment of heart failure – to remove water accumulated in the tissues thereby lessening edema – also wash out critical water soluble vitamins such as vitamin C, vitamin B1, and minerals like potassium, calcium, magnesium, zinc, etc. These micronutrients are essential cofactors in the bio-energy generating cycle in the heart muscle cells. Digoxin depletes magnesium and B vitamins, which are essential for optimum bio-energy production in cells. The risk of deepening these micronutrient deficiencies is further potentiated by anti-arrhythmic medications. It is not surprising therefore that the most common side effect of anti-arrhythmic drugs is: arrhythmia. In addition, the drug-induced “energy saving” action further impairs blood circulation in the body and blood supply to many vital organs, including the brain, contributing to depression and a decreased quality of life observed in heart failure patients. 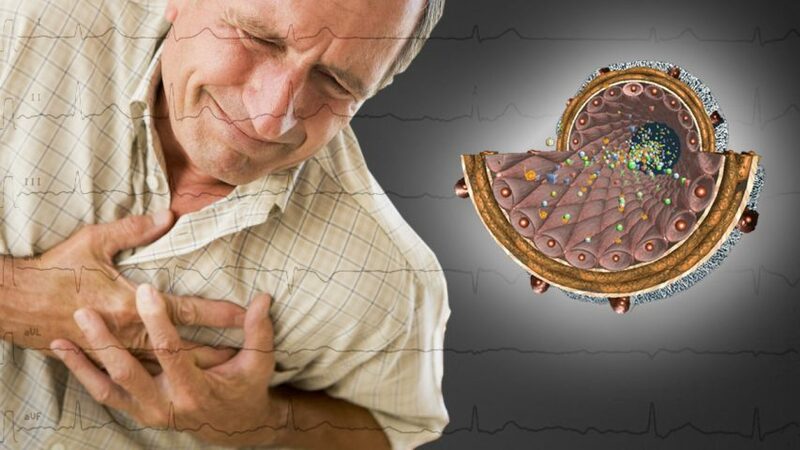 Consequently, with time, such “treatments” of heart failure and arrhythmia add to a vicious cycle of micronutrient depletion and additional weakening of the heart muscle, thus leading to still further deterioration of the patient’s health. Dr. Matthias Rath’s Cellular Medicine approach provides a breakthrough in understanding the root causes, prevention and adjunct treatment of heart failure and arrhythmia. It recognizes that in most cases, heart insufficiency and irregular heart beat develop as a result of a chronic deficiency of vitamins and other nutrients that provide bioenergy to the cardiac muscle and electrical rhythm controlling cells. 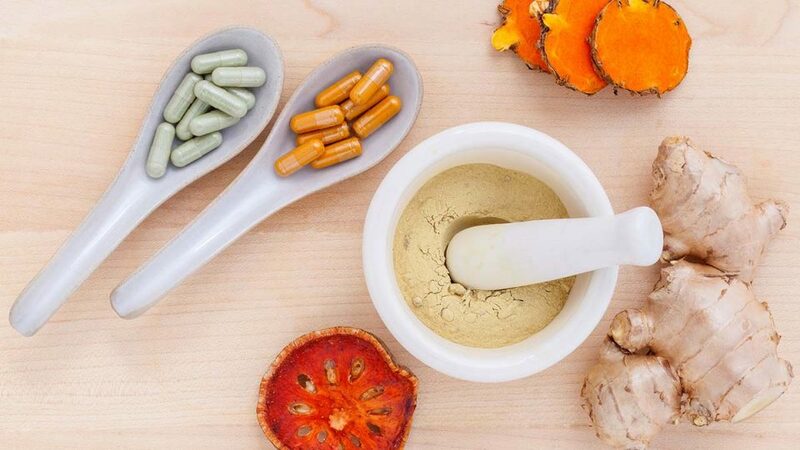 Although many clinicians recommend the use of individual micronutrients, or their random combinations, our research indicates that it is critical that nutrients are provided in the form of specifically selected teams based on their synergy. This assures maximum effectiveness, without the need of high doses of individual components, and helps in maintaining metabolic balance. We have clinically confirmed the effectiveness of nutrient synergy in patients suffering from heart failure and arrhythmia. Dr. Rath’s Research Institute sponsored a double blind placebo controlled clinical trial in patients with arrhythmia. This multi-center study involved 131 patients between 18 and 70 years old who had at least one episode of arrhythmia per month and were taking anti-arrhythmic medications with little success. While continuing their medications, one group of these patients was taking a synergy–based nutritional formulation, and the other a placebo, for 24-weeks. The results showed a significant decrease in the frequency of arrhythmic episodes that improved with time. After three months, about 23% of the participants taking supplements experienced a decrease of arrhythmic episodes. Their number almost doubled (about 43%) after six months of vitamin intake. In addition to other health benefits, there was a statistically significant improvement in the quality of life of these patients, especially in the aspect of mental health. This is important because arrhythmia patients suffer depression not only from deteriorating heart function but also from the constant anxiety of anticipating the next episode. This pilot clinical trial in heart failure patients showed improved cardiac pumping action based on the NYHA (New York Heart Association) grading system that measures the quality of life of heart failure patients. NYHA uses a 0 to 4 scale grading system, with Grade 0 equaling no symptoms of heart insufficiency and Grade 4 equaling a severe heart condition in which patients are confined to bed. Several clinical studies have reiterated these findings, thus emphasizing the importance of bio-energy for optimum heart function. This includes a study conducted at the Charite Hospital in Berlin (Germany) that had confirmed our multi-nutrient approach as a more effective way to provide a full spectrum of micronutrients for optimum bio-energy production. (Ref.7) This bio-energy can only be provided by nutrients. Drugs, as we have shown above, have opposite effects as they further contribute to the cellular depletion of micronutrients. Unfortunately however, information about such therapeutic failures, as documented in the New England Journal of Medicine articles, does not reach the patients and pharmaceutical companies continue to market these and other similar drugs. Such drugs are not only ineffective, they are dangerously harmful and patients are paying the price with their heath and lives. It is therefore our responsibility to share this knowledge with patients, their families and their doctors. Cohen AJ, Azir, Bijdrage tot de kennis de werking van vitamine –B1 bij beri-beri, Dutch Healthcare Journal, December 23, 1931. Water W, Jellesma-Eggenkamp MJ, Bruijns E. Failure in self care and heart failure, thiamine deficiency in geriatric patients. Tijdschr Gerontol Geriatr. 1986, 27:97-101. Belardinelli R, Muçaj A, Lacalaprice F, Solenghi M, Seddaiu G, Principi F, Tiano L, Littarru GP. Coenzyme Q10 and exercise training in chronic heart failure. Eur. Heart J. 2006;27: 2675-81. Langsjoen H, Langsjoen P, Langsjoen P, Willis R, Folkers K. Usefulness of coenzyme Q10 in clinical cardiology: a long-term study. Mol Aspects Med. 1994; 15 Suppl; s165-75. Rath M, Kalinovsky T, Niedzwiecki A. Reduction in the Frequency of Arrhythmic Episodes in Patients with Paroxysmal Atrial Arrhythmia with Vitamin/Essential Nutrient Supplementation Program. Journal of the American Nutraceutical Association (JANA) 2005, 8; 19-25. Cellular Health and heart failure, Cellular Health Communications, 2001,1; 1. Witte KK, Nikitin NP, Parker AC, von Haehling S, Volk HD, Anker SD, Clark AL, Cleland JG. The effect of micronutrient supplementation on quality-of-life and left ventricular function in elderly patients with chronic heart failure, Eur. Heart J. 2005, 26; 2238-44.